Victoria, BC – Canada’s most decorated international swimmer is retiring, leaving an unfillable hole in the national team but also an unmatched legacy. Victoria’s Ryan Cochrane made the announcement this morning on the CBC Sports Player’s Own Voice as well as in an interview with Scott Russell. “Since the Games in Rio, I’ve been asked time and time again what my plan for the future holds. I have been flipping back and forth with gut-reaction emotions, moments of rational perspective, and oh-so-many moments of absolute uncertainty. Today though, I’m announcing my retirement from competitive swimming, starting a new chapter in my life and looking to find something that will provide me with new purpose and goals to chase,” said Cochrane, 28. Cochrane won his first major medal in 2006, made his FINA World Championships debut in 2007, then stepped on the Olympic podium with bronze in his signature 1,500-metre freestyle at the Beijing 2008 Games. That launched an eight-year run of medals at 12 straight major international championships, including silver at the London 2012 Olympics. His eight long-course world championship medals are the most all-time by a Canadian. Cochrane’s ascendance couldn’t have come at a better time for Canada, which had been shut out in Athens 2004. He helped restore pride in Canadian swimming, and carried the torch to give a new generation hope that medals were possible. Although he finished out of the medals in Rio 2016, he was co-captain at his third Olympics, and many credited him with laying the foundation that inspired the young team to believe they could reach new heights. The previous year may have been his most impressive considering the circumstances. Cochrane earned gold in the 400-m and 1,500-m freestyle at the Toronto 2015 Pan Am Games, setting Games records in both. He went on to win his seventh and eighth world championship medals later that summer in Kazan, Russia, and earned Swimming Canada’s Male Swimmer of the Year award for the eighth straight time. Those achievements are even more impressive considering the difficult year he and his teammates faced due to the death of High Performance Centre – Victoria coach Randy Bennett. Bennett once described Cochrane’s incredible consistency as “like clockwork” and he had continued it with Bennett’s coaching successor Ryan Mallette. In addition to thanking both coaches when announcing his retirement, Cochrane thanked his parents, teammates and supporters. 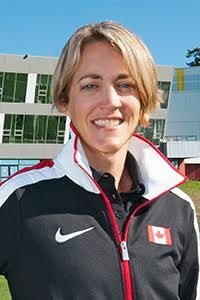 “It’s bittersweet to leave the incredible team we’ve created at the Swimming Canada High Performance Centre – Victoria. I was constantly reminded of the sacrifice and dedication it takes from so many people in order for me and countless others to go after our version of an Olympic dream. Without everyone’s guidance and expertise, I likely would have found little success on my journey,” he said. Cochrane won 27 A national championships, represented Canada in 16 different countries, won 24 major international medals and was ranked for 11 consecutive years in the world’s Top 8 in at least one event. Cochrane’s importance to the national team, Canadian swimming, and Canadian amateur sport as a whole cannot be understated. A who’s who of the swimming and sporting world expressed their praise for the outstanding athlete and person.